Hi everyone, today I'm up on the Pretty Pink Posh blog and YouTube channel using the new Happy Turkey coordinating die set to make multiple shaker windows in fall colours using a variety of sequins. Check by the Pretty Pink Posh Blog to check out the video and blog post if you haven't already. 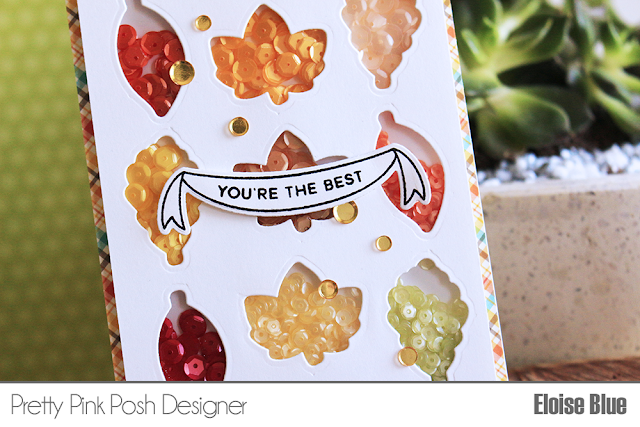 I've already commented this card on PPP but I can tell you again here how gorgeous I think it is ! !